Our range of products include road stud, solar road studs, plastic road stud, abs road studs, red solar road stud and reflective road stud. Road Stud is designed and developed from top quality components which are sourced from trustworthy vendors of the industry. 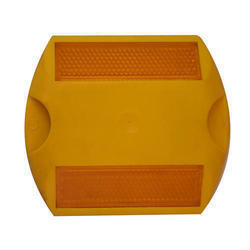 Our ergonomically designed and developed road studs offer good compression resistance and durability. Owing to low maintenance and perfect finish with cost-effectiveness, these Road Studs are extensively demanded by various numbers of patrons. 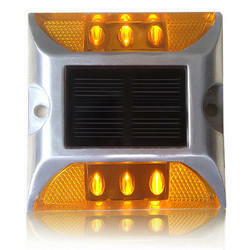 With more than two decades of experience in the field of Industrial Safety Products, we have emerged as a respectable leader for the supply of Solar Road Studs. 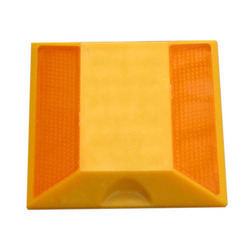 Counted in the category of topmost organizations, we are offering Plastic Road Stud to our clients. 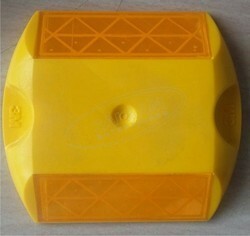 It is available in curved shapes and useful for road safety. The offered range of this can be applied to busy traffic intersections, coastal areas, foggy weather, dangerous and sharp road bends; airport guidance light, hilly areas fly-over; and four-lane highways. This is available with several benefits as well and is used for improvement in driving awareness. Most importantly, it is also sued in complexes with underground parking, hotels, hospitals, shopping mall etc. We are the manufacturers of ABS Road Studs. Provided in different designs and specifications, these studs are manufactured using superior quality ultrasonic welding process of ABS base plate and ultra-modern technology in adherence to industry norms. The offered studs are highly appreciated in the market for their various quality attributes. Besides, clients can avail these studs from us at pocket-friendly prices. 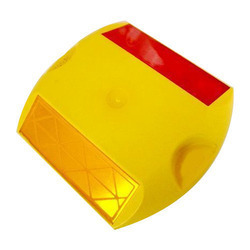 We are one of the renowned organizations that are engaged in manufacturing, supplying, trading and wholesaling a comprehensive range of Red Solar Road Stud. The offered range of solar road studs is designed developed by our experts in compliance with the industry laid standards. Reflective Road Stud provided with effective lane delineation particularly during the hours of darkness and in adverse weather conditions thus giving protection from accidents. The plastic road stud is a bright extremely hard wearing damage resistant road stud and easy to install. We manufacture Alloy Road Studs. That includes with nails, without nails, with shank, and without the shank. 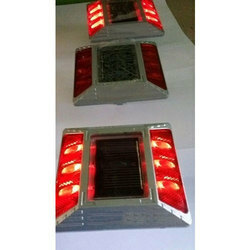 Aluminum studs with 21 glass elements, 43 glass elements, prismatic sheeting or prismatic reflector viz road studs are customized as per the requirement. The studs are made of high-quality Aluminum high pressure die castes material and can withstand a compressive load as per the ministry standards.